For over 15000 years the Atlantic Salmon has been a prized quarry, and in Scotland, Salmon Fishing is the sport of Kings. Spey Casting and fishing the fly for salmon in the mighty Rivers Tweed, River Tay, River Spey and River Dee can be simply a bucket list wish for most anglers. 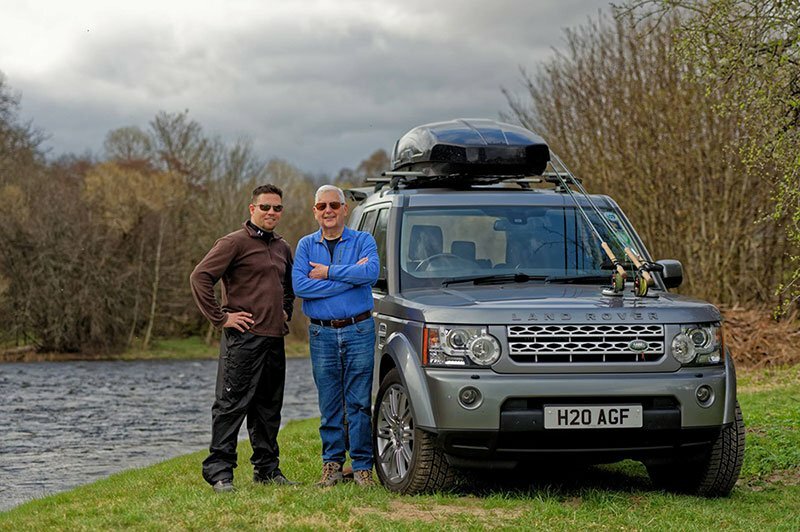 Alba Game Fishing can help you realise your dreams, and guide you on the best salmon fishing rivers in Scotland. Can you fish for salmon in Scotland on a Sunday? The short answer is no. All salmon rivers in Scotland are closed on a sunday, this therefore means, a good choice to fish a river is a Monday, as the river will have had a rest for a day. If conditions are right, a lot of fish are taken on a Monday morning! As well as the big 4 salmon rivers, there are many superb smaller rivers throughout Scotland. River such as the Lochy, Garry, Dionard, Laxford, Gruinard and Alness to name a few. Which salmon river to fish, depends on the time of year and conditions and that’s where we can help. 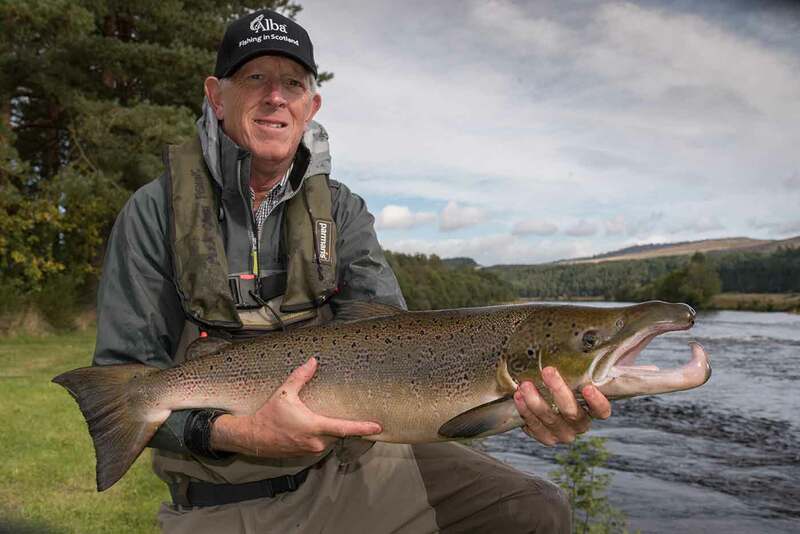 We have a team of 15 professional salmon guides throughout Scotland, and can provide premium fly fishing and spin casting gear, Orvis waders and boots and Orvis wading jackets and wading staffs. All you need bring is your enthusiasm and a pair of sunglasses! How does your fishing day go? Your fishing guide will collect you from your hotel and transport you to the river. Days normally run from 08:00 to 18:00, however, we are flexible with timings. We provide everything you need. Quality fishing tackle and specialist Scottish tied flies. Waterproofs and waders are supplied as are sunglasses. Your guide will be on your shoulder all day and is happy to share local fishing techniques, give you casting tips, take photos and share stories. When you need solitude you can just enjoy the river.